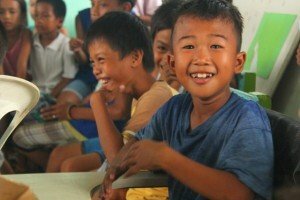 A year on from the devastation caused by the aftermath of Typhoon Haiyan, the lives of people on the ground are being gradually improved thanks to the tireless work of ChildFund staff. Approximately half a million homes were destroyed causing huge disruption to children’s lives in the affected areas. ChildFund provided emergency relief through provision of food, safe water and sanitary kits. In this update, Martin Namawa and Christine Ennulat describe the vital work ChildFund has undertaken these last twelve months and the tangible way the lives of children such as Kenna have been improved. Slowly but surely they are getting their lives back on track.